I don't usually cover reissues of material from the STARLOGGED era, partly because it's so hard (and expensive) to keep track of them all. However, the last two weeks have seen a sudden wave of reprints of great comic strips from our time so it felt like it was being remiss of me NOT to tip you off. It has to be said that some of these have been a long-time-coming and there were times when I assumed that the project had been quietly cancelled. However, I can confirm that everyone of these REALLY do exist. Right now. In the real world. British readers will most likely recognise these strips, based on the late seventies spandex-fest, from the three BUCK annuals published between 1980 and 1983 (cover-dated 1981-84 as is the fashion). They're not great strips but they are a bit of nostalgic fun. Things kick-off with a serviceable three-part adaptation of Buck's opening episode/ movie which - I think - is previously unseen in the UK. In the states, it appeared in the first issues of the regular BR book (which - bizarrely - kicked-off with issue 2 because of a decades earlier (1964!) one-shot, which is also included here) and in a tabloid one-shot which - for reasons lost to time - appeared with a Marvel Comics masthead even through it was one of the few SF franchises of the period that the House of Ideas couldn't grab. The adaptation itself is a bit hit-and-miss and was probably produced (in haste) whilst the opener was still shooting. The artwork is basic and it looks like references were limited. The cast do (pretty much) look like their screen equivalents (frankly rare in this type of book) and the Earth Starfighters resemble their screen equivalents. The Draconian Marauders and Ranger III, however, definitely do not and the artist seems to have reverted to some stock decades-old designs instead. Twiki is present-and-correct although they don't appear to have settled on the familiar biddi-biddi sound effect. The nob-headed 'bot also looks pretty off-model at times. Predictably, Draco gets more panel-time here than he does on screen because the character was pretty-much chopped from the final edit. I'm still reading the first of the original adventures that followed the adaptation but it's interesting to note - after a casual flick - that the creative team seem to have focused on return visits to "Old" Chicago (you can't blame them, in many ways they were the most memorable scenes from the movie), aka Anarchia, which is something the TV team avoided all together as they felt they didn't fit with the largely fun tone of the weekly series. The show's writers felt that viewers would question why Buck was constantly gallivanting off-world when there were clearly desperate people in need of his help right outside the 'gates' of the city. There's a few pages of background information, movie posters, merchandise and stills but none of them can really be described as comprehensive. This pricy hardback only reprints the first few (of sixteen) issues but it's worth the expense if you have the disposable cash. Don't expect greatness, just a bit of fun. 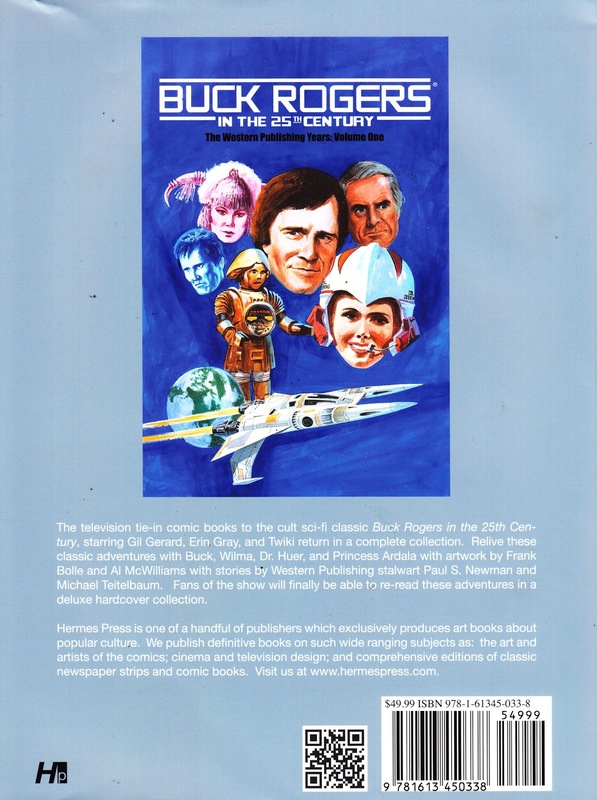 Hopefully further volumes will complete the run and (fingers-crossed) expand the remit to include the British strips from LOOK-IN and TV TOPS. Now... if only someone would do the same for BATTLESTAR GALACTICA. I have to say, I was beginning to doubt that this was ever going to see the light of day as Marvel had already delayed this compilation of British strips several times AND had missed the obvious marketing opportunity of getting it into stores to coincide with last summer's AVENGERS movie. Nevertheless, here it is. And it's most welcome. 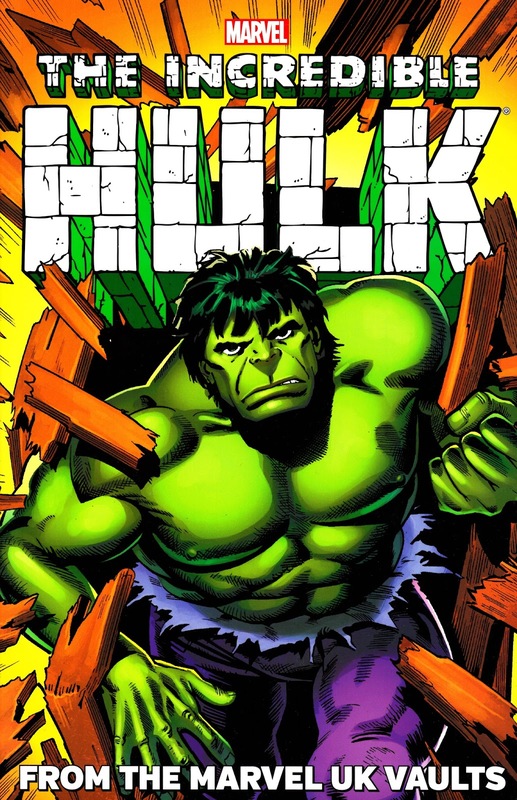 Marvel have done a good job with this compilation of the strips from HULK COMIC, supplemented with the original material from the contemporary annuals as well as the one-off Hulk strip from SMASH (which, as I've speculated in the past, is not only the first original British Marvel strip but - quite possibly - the first EVER overseas Marvel strip created anywhere). The strips from the weekly were - of course - originally published in black & white... and that's how they appear here even through a few were coloured for US publication back-in-the-day. The material from the annuals appears - as first published - in colour. They've also done a really nice job compiling a good selection of covers (including the short-lived second weekly volume), pin-ups, free gifts and miscellaneous artwork. 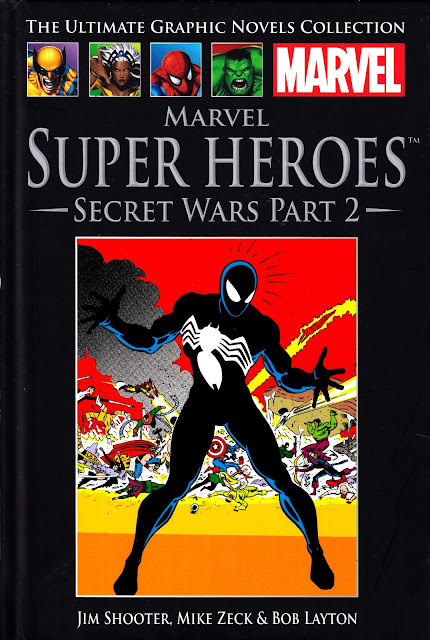 This was a really welcome surprise although its not truely comprehensive as - if they'd have wanted to include EVERYTHING - they would have had to include most of the covers from the original incarnation of THE MIGHTY WORLD OF MARVEL as well as various covers from SPIDER-MAN's weekly where the Hulk shared a cover appearance. 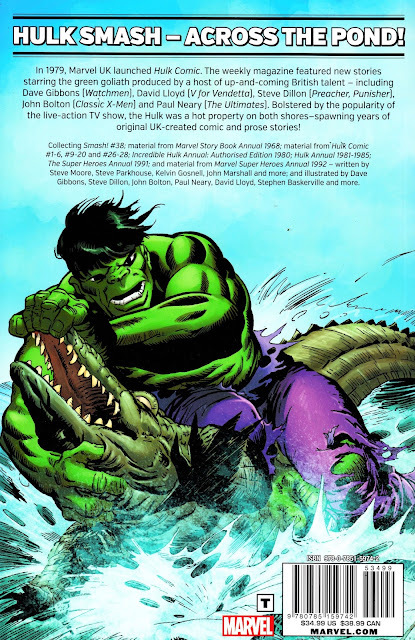 I would also have liked to have seen a little more context - by way of a background interview or article - about the genesis and development of these British strips as well as the Hulk's UK hero history. Ironically, I've done something similar in the past and you can find that here. It's obviously outside the brief of the book but I'd also have liked to have seen Marvel take the opportunity to reprint Spider-man's four-part excursion to London and Birmingham at long last. You can find more here. And, of course, there was also the webslinger's never-reprinted excursion to Camden Lock. Which you'll find here. By Marvel trade paperback standards, this is a really nice package and they should be commended for not only publishing it at all but also going the extra mile with the contents. Readers outside the UK may be perplexed by this rather stylish hardback. For over a year now, we've been seeing a new Marvel book in the series published every fortnight. Each one reprints a different classic story in the trade paperback tradition although most are drawn from the modern era with only the occasional excursion - like this one - as far back as the eighties. Part-works (as these things are called) are a great tradition of British (and - I guess - European) magazine publishing and have been around for decades. Some feature figurines or models (there have been series with Marvel and DC characters and chess pieces or STAR WARS or BATMAN vehicles in recent years and DOCTOR WHO and STAR TREK are imminant), a model kit (HMS Victory!) issued, one piece at a time, over a painfully long period (and there is always the risk that the venture will be abandoned long before the final piece is released), a DVD collection (which is - invariable - more expensive than just buying the box set) or some form of reference work (there's a nice Marvel one appearing weekly at the moment and - in the past - there's been Star Trek and Star Wars). They always follow the same formula. A cheap first issue, accompanied by TV advertising, followed by the first six (or so) sold in newsagents. Then they go off general sale and collectors either have to specifically order them from the retailer or direct from the publisher. This means some series can still be appearing years after you've forgotten about them. Geek-friendly series tend to be stocked by retailers like Forbidden Planet here in London which makes it much easier to keep collecting and find any back issues you might have inadvertently missed. 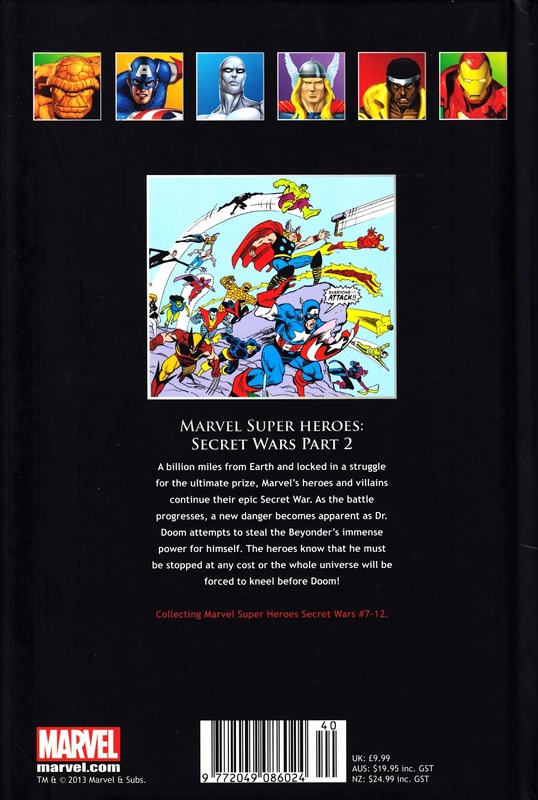 This particular issue, which went on sale around a month ago (there has been at least one more issue since) wraps-up the first SECRET WARS series with reprints of issues 7-12 (which was a double-sized wrap-up). The first half of the series appeared in a previous volume which - thanks to the publishing formula of the partwork - appeared months ago. There's also some nice behind-the-scenes text pieces which - I think - first appeared in the most recent US trade paperback reprint. Because these books are not only sold in the UK there's no mention of the original Marvel UK series. 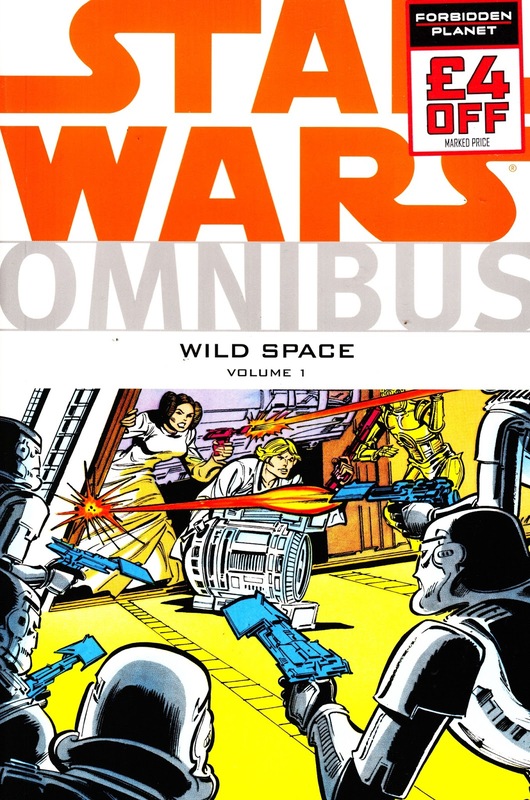 It's not immediately obvious from the cover (or the title) but this latest addition to the weighty Dark Horse omnibus series FINALLY reprints all the 'extra' Star Wars strips - produced on both sides of the Atlantic - for the British comics. Yup, that's right, it's taken an unbelievable thirty-plus years to put all the strips in the same place at the same time. Better late than never! Some of the strips produced for STAR WARS WEEKLY have never been reprinted before and others - like the British "Devilworlds" strips (see here) - haven't seen a reprint in decades, despite boasting early work by Alan Moore. Some of these strips, originally published in black & white, were subsequently coloured for their US publication in places like Marvel's PIZZAZZ MAGAZINE (see here) of the aforementioned Dark Horse reprints and where that's happened, Dark Horse have favoured the colour versions. Where no such edition exists, the original black & white versions are used. Dark Horse have also made a cursory effort to reprint the relevant cover artwork from STAR WARS WEEKLY (albeit with the Marvel masthead removed) but - of course - this conveniently forgets that new covers (as well as splash pages and story-so-far summaries) appeared exclusively in the UK throughout the lifetime of the comic, not just in the issues in this compilation. There's also no attempt to put these reprints in context with background material. That's a real missed opportunity, not only to explain why these even exist but to go some way to explain the creative process behind them. If Dark Horse want to do this right, they only need to look below. This hefty volume also includes the three issue STAR WARS 3D series published by Blackthorne in the late 1980s, albeit with the 3D treatment removed. These were hard-to-find even when published (remember: no-one cared about Star Wars at the time) and are also most welcome. The remainder of the strips are odds-and-sods from the DH era which are probably unfamiliar to all but the most ardent of fans. Not perfect... but it's been a long-time-coming! From the Marvel UK COLLECTED COMICS onwards, there's been no shortage of reprints of the British TRANSFORMERS strips from the Starlogged era. So why splash out again on YET ANOTHER collection? Because - quite frankly - these hefty IDW volumes set the high bench mark for reprints that EVERY other publisher should attempt to match. The strips themselves are familiar enough but the copious text pages and behind-the-scenes information makes each volume invaluable. We're not just talking about brief new introductions (ala the A4 Titan Books editions of a few years ago), these are extremely detailed reviews of the entire creative process and - fascinatingly - life at the Annex of Ideas in the eighties. The publishers have also gone to great lengths to unearth supplementary pieces like editorial pages, house ads, toy promotions etc. This fourth volume continues to the high standards of the first three editions. Strip-wise, the highlight this time is the seldom seen TRANSFORMERS/ ACTION FORCE crossover which was Marvel UK's alternative to the (pretty dire) US TF/ G.I. JOE limited series (which only reached the pages of the UK comic at the arse-end of its run when - frankly - no-one really cared anymore). The strip, which ran across both weeklies, hasn't been seen since it was reprinted (in the late eighties) in ACTION FORCE MONTHLY (aka G.I. JOE EUROPEAN MISSIONS stateside) so - although it's not really much cop - it's great to finally see it in print again. The crossover was intended to bolster the lacklustre sales of the British version of the Joes... which obviously didn't work as the weekly wrapped-up within a year. 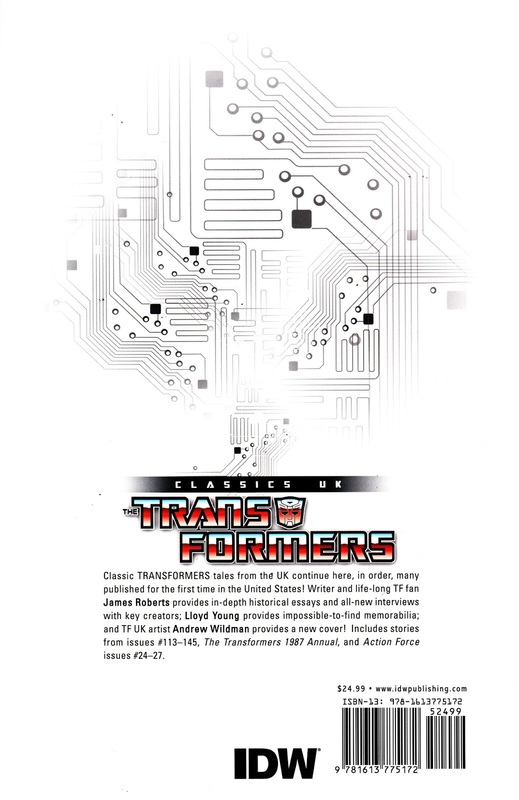 These books - even for casual fans of the Robots in Disguise - are unmissable. Just wanted to say that I appreciate you stepping over the usual Starlogged lines to let this reader know what's being reprinted. Great entry, really helpful to know some of these long-promised collections have finally appeared. It's a pleasure. It's surprising that such an abundance of new old stuff appeared so close together. 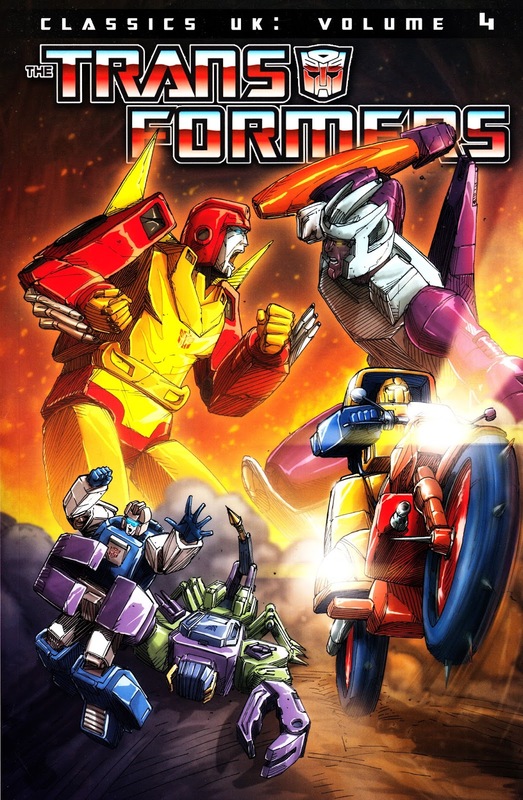 The TRANSFORMERS and HULK books were released on the same day! 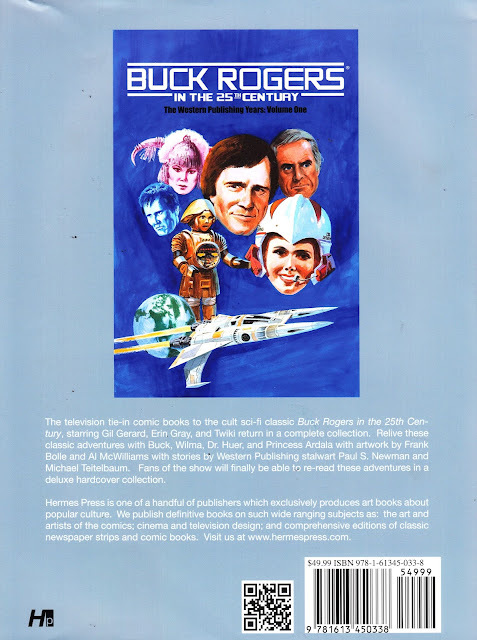 The BUCK ROGERS book took me by surprise. It's been sitting on my Amazon wish list for ages with a release date sometime this year. Then - suddenly - that date was pushed back to 2014. By chance I then noticed that it was showing as "in stock" so I click-clicked immediately. I've not seen it in any London comic book store but that might be down to its limited appeal and substantial ticket price. It didn't matter what clothes Bruce Banner was wearing- the Hulk always had the same torn pair of purple trousers. Early in 1980 Star Wars Weekly was getting quite excited about the upcoming movie The Empire Strikes Back and they announced the comic would be getting a relaunch with a new name. "Don't worry," they said "we won't be calling it The Empire Strikes Back Weekly". A month or so later the newly named comic was announced-yep, "Star Wars: The Empire Strikes Back Weekly". It was at about this time I abandoned Marvel UK and started seriously buying US Marvels- the classic X Men Hellfire Club/ Dark Phoenix storyline was about to begin. Really? I'll have to dig that out! Do you think they might have been joking? What else could they possibly call it? Maybe they were thinking of shortening it to STAR WARS to bring it in line with the American book? 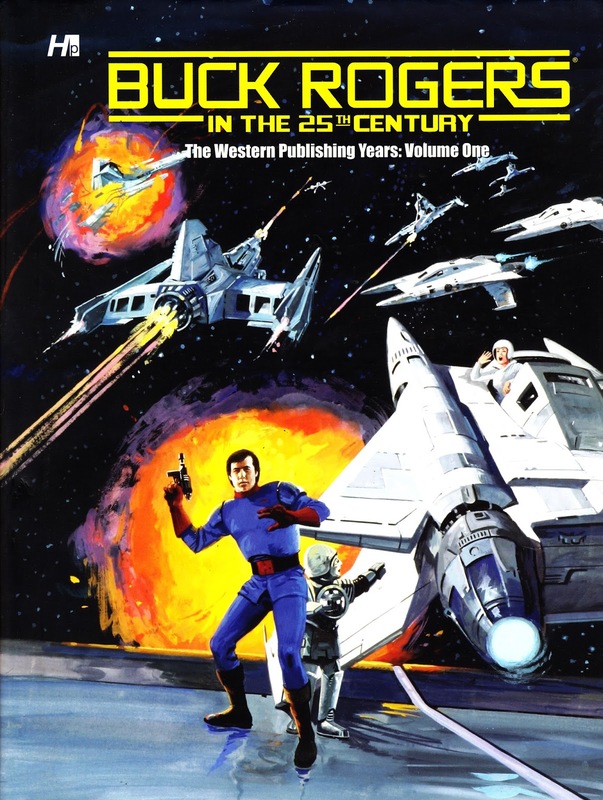 Or - and this is purely blue-sky thinking - maybe they were toying with the idea of FUTURE TENSE FEATURING STAR WARS. As outrageous as it sounds, it would be one way of getting an SF rival to 2000AD up-and-running with a sure-fire main attraction. The long-term popularity of the saga still wasn't guaranteed and that would have been a way of M-UK hedging their bets. 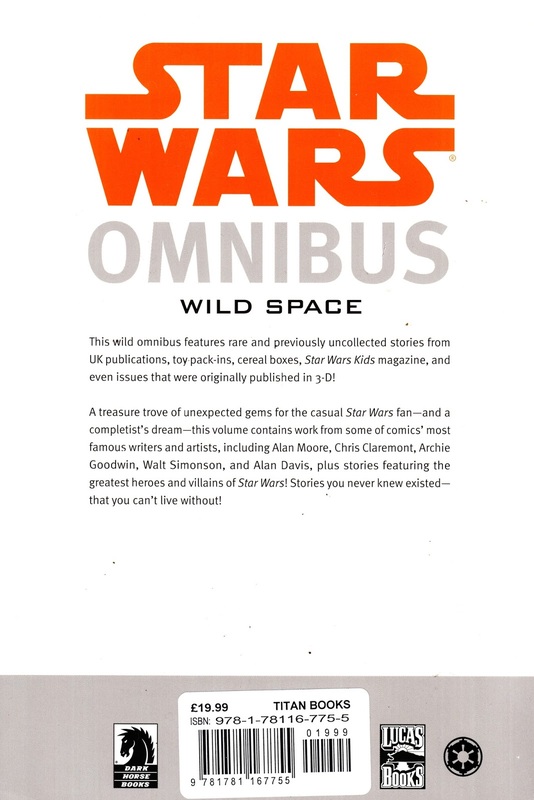 That might also explain why, when FUTURE TENSE did launch later in the year, it looked (at least for the first month) as a compilation of Star Wars back-up strips without a main feature to anchor them. All that said, Dez Skinn has written about SWW several times (in the pages of COMICS INTERNATIONAL and on his website) and he's never mentioned any plans to change the name. Hmmm. One thing that did always surprise me (and - in my head - they DID change it which shows how the memory cheats) is that M-UK stuck with RETURN OF THE JEDI throughout all 155 issues of the weekly. As time past, I'd have expected them to revert to the more all-encompassing STAR WARS title (indeed, I think I read somewhere that they were considering the idea). For a while, I even mis-remembered the issue 123 relaunch (where they adopted the 24-page, full-colour format) as coinciding with just that name change. I was (briefly) surprised when I unearthed my back issues and found that was never the case! If I remember correctly The Empire Strikes Back Weekly was considered to be a mouthful and that's why the relaunched comic wasn't going to get that name. In June 1975 Planet of the Apes began the adaptation of Beneath the POTA but they didn't change the comic's title. Although of course Star Wars Weekly was exploiting the anticipation for the upcoming blockbuster. It's been said that the Star Wars licence saved Marvel Comics, I don't know if that's true. I guess the difference is that ESB was a new - and sure to be much-hyped - movie onto which Marvel could piggyback whereas the PLANET OF THE APES flicks were old news (except for TV outings) by the time Marvel launched their British and American editions. The TV show, and the copious merchandising that accompanied it, all were simply known as POTA so it made sense (and may have been in the terms of the license) for Marvel to follow suit. And - of course - a constant succession of name-changes would have confused casual readers and the news trade. I was pondering the ESB name-change conundrum and one thing that struck me is it could be misconstrued as the Empire strikes back, WEAKLY. Not quite the impression Lucas was trying to convey. LOL. RE: SW THE SAVIOUR: It's probably a little simplistic to say that (Marvel did - after all - have several characters that, with varying degrees of success, were beginning to become mainstream media brands around this time) but ex-Editor-in-Chief Jim Shooter has certainly said that the money rolling in from the SW comic kept Marvel afloat. It's an often repeated tale that Marvel signed-aboard the SW bandwagon for next-to-nothing but I've also read that the license came up for renegotiation fairly quickly (possibly as early as the seventh issue) and - by that point - Lucasfilm would surely have known that the license was far more valuable than they previously suspected and set the price accordingly. One thing that is surprising: why didn't, at the peak of SW's popularity, Marvel get a second regular book on the stands. Multiple books with the same character(s), whilst not as ubiquitous as today, were not unprecedented and Marvel were already having to churn out under-utilised additional material to feed the weekly. A second monthly (or bi-monthly) book could have cashed-in!